Bi-fold closet doors are typically what most people would consider “very ugly.” We did a simple and fast bi-fold closet door makeover that we think you’ll love and would quickly spice up your doors if you wanted to give it a try! 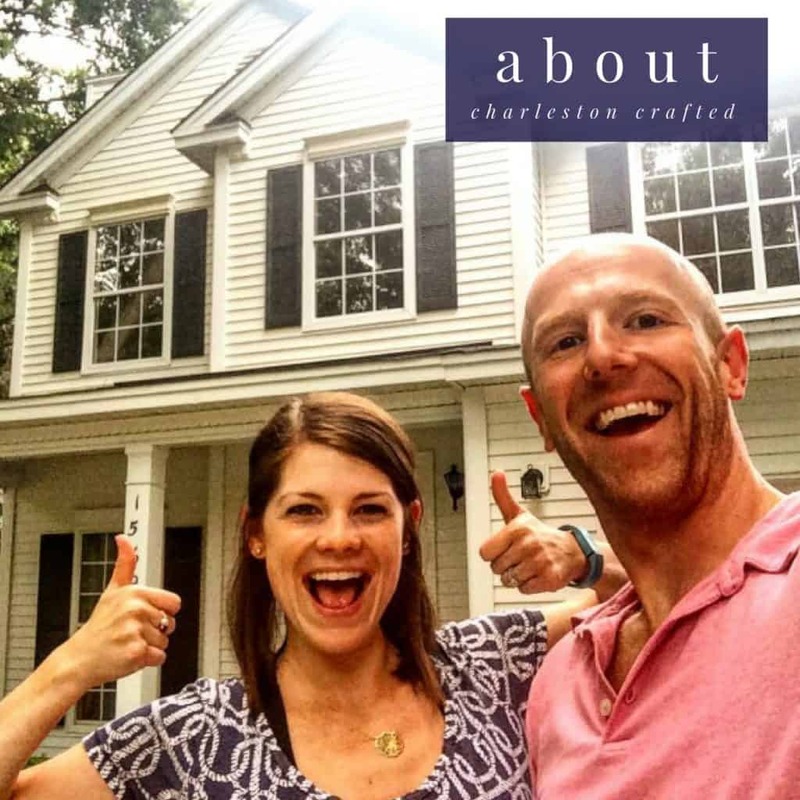 love this project? check out all of our nursery projects here! 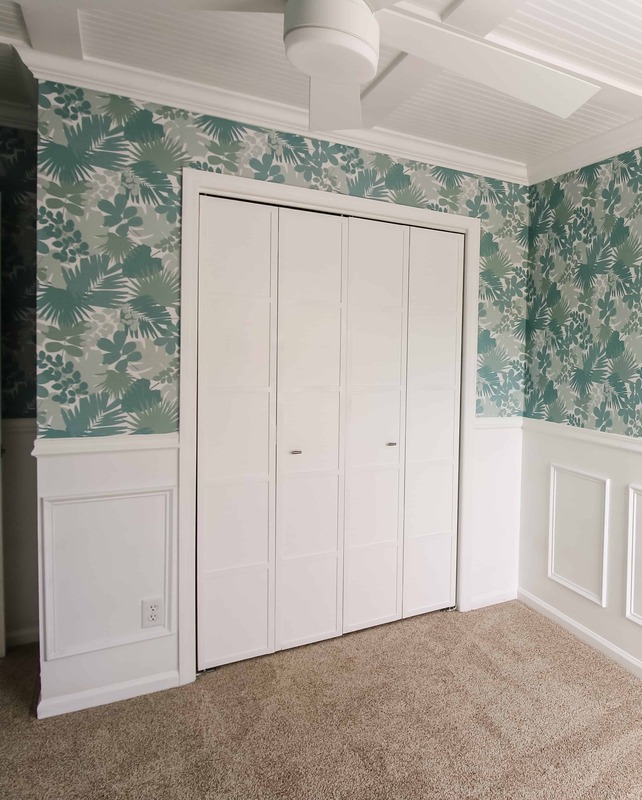 The bi-fold closet door makeover for our nursery was so easy, y’all. 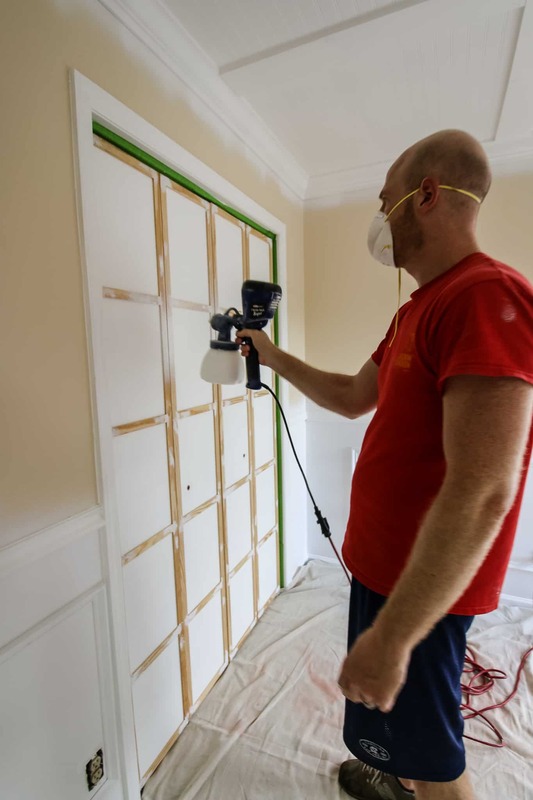 Using 1/4 inch thick by 1 1/2 inch wide slats, we totally transformed our doors. This look is easy to replicate or slightly alter. We love the eastern feel that these doors have now! 1/4″x1 1/2″ slats enough for your door. Ours required approximately 77 feet (79″ vertical pieces and 12″ horizontal pieces) and yours likely will be right around this. Measure one of your four door panels. Measure the height and cut two long slats for each side. Use your brad nailer to tack in the slats on each side so that they are flush with the outside edge. Measure the space between the two vertical slats. Cut six pieces of slats to that length. 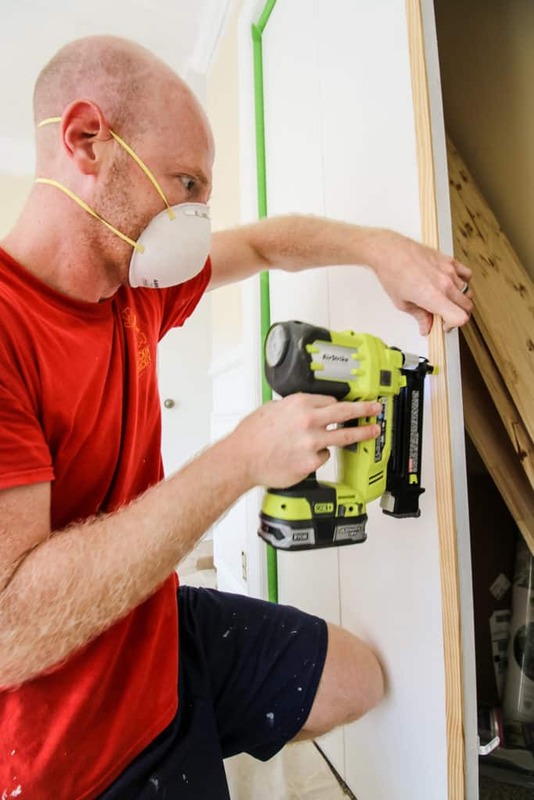 Nail in the horizontal slats, starting with the top and bottom flush along the edge, and then evenly spaced on the door to create five equally-sized panels. Repeat steps 1-5 for the remaining doors. 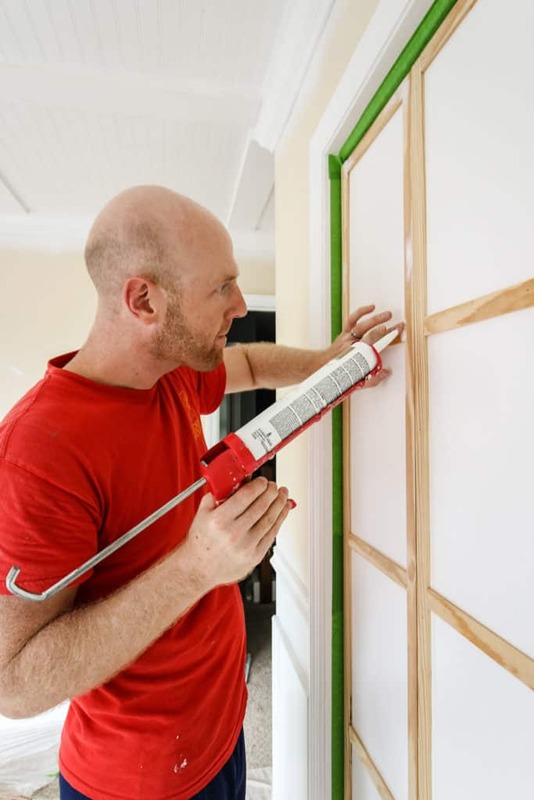 Use caulk to cover up the seams and nail holes. Paint the entire door to match. Look at that transformation! 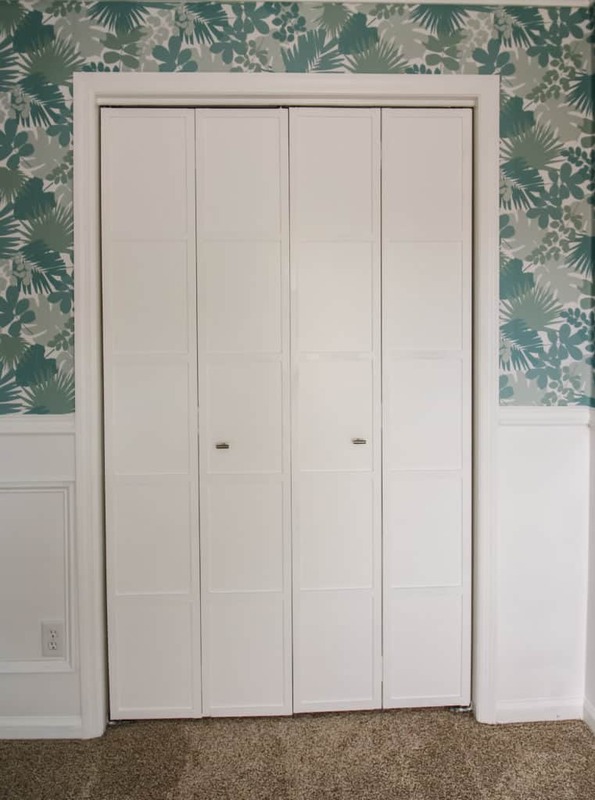 This bi-fold closet door makeover took us less than an hour to complete the entire thing and it is absolutely completely changed. 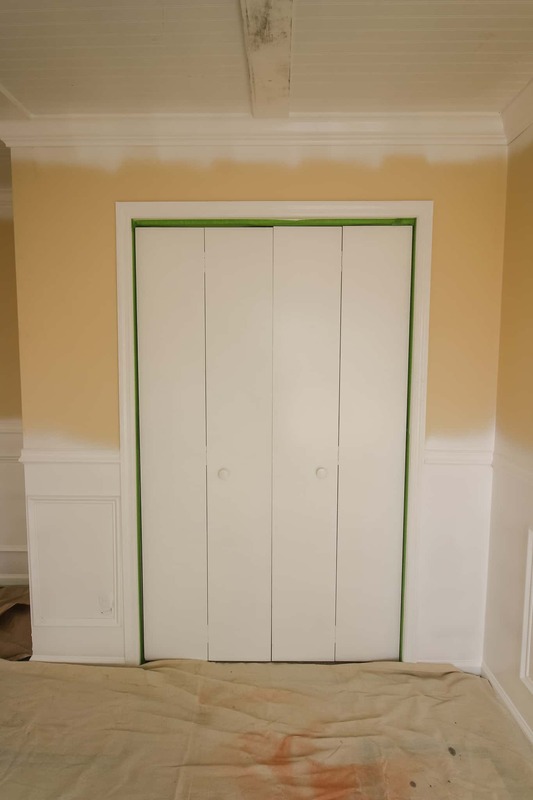 We hadn’t planned to do this project for a week but we finished our DIY wainscoting project early one Saturday morning (because that project was super simple too) and decided to start this one and accidentally finished before lunch! If you’re looking to do a bi-fold closet door makeover, consider this option. The eastern look to the doors fits with lots of styles and is so easy to make your room look like a million bucks. Love how it works with the other trim on the walls/ceiling!